RENU Advanced is a high-end anti-aging skin care system. The creative challenge was to create a brand that highlighted the scientific basis of the product while also channeling the feel of an up-scale spa. To contrast the clinical, cutting-edge feel of the wordmark, a stylized, organic fingerprint is used as a design element to convey the idea that your skin is your own unique imprint. Completing the brand is a family of tranquil, spa-like colors, elegant typography, and refined graphic elements. 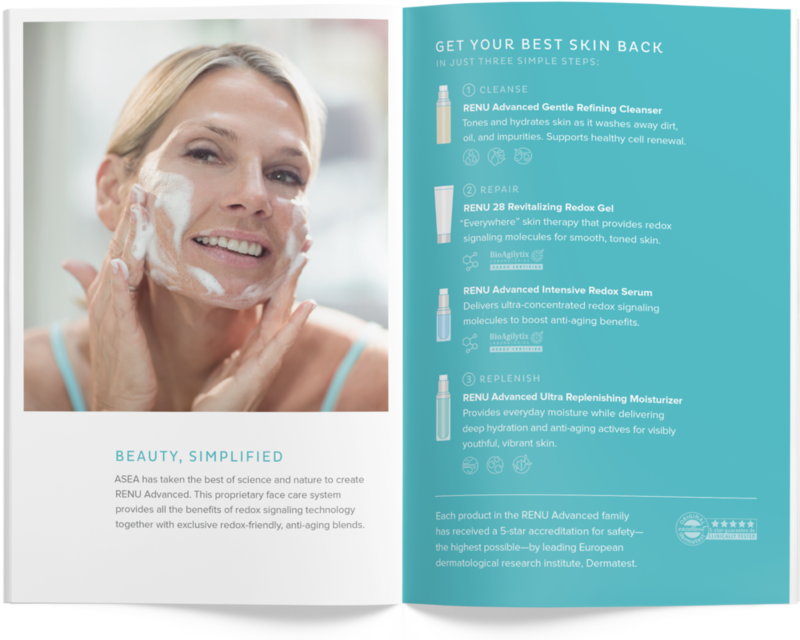 The marketing collateral featured custom lifestyle photography paired with the catchy tagline, "Get Your Best Skin Back." Product displays, environmental graphics, and limited edition apparel were produced for the product launch event.